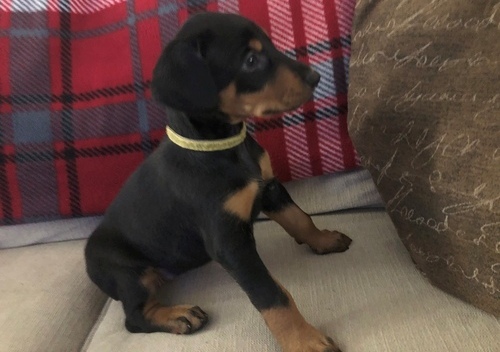 We have an adorable high quality litter of black with red rust Dobermann puppies. We searched far and wide to find the perfect boy for our perfect girl. So none of the puppies can get any of these health problems. These puppies will make very loyal, devoted family pets. The grooming is low maintenance and they are very highly intelligent, so easy to train. They will be brought up in our family home around children and all the daily noises! 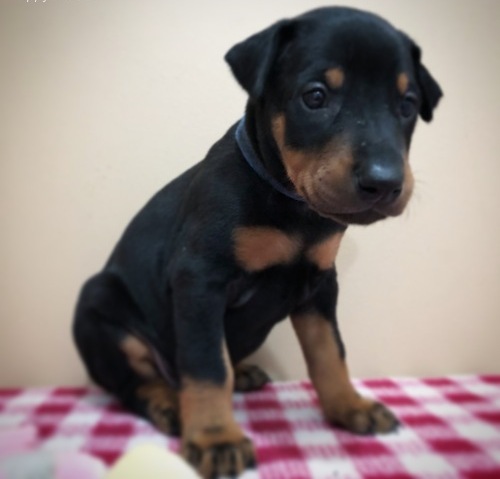 The puppies will leave KC registered, 4 weeks free insurance, microchipped, vet health checked, wormed regularly, flea treated, scent blanket, food they are on and 1st vaccination if you want it. 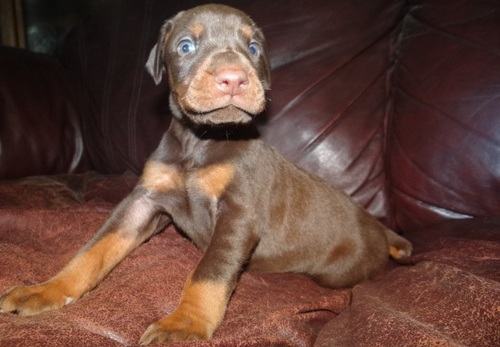 Please feel free to email us with any questions or arrange to view/reserve a puppy. 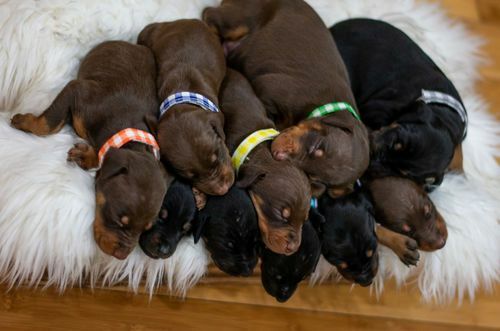 It is a £ refundable deposit to reserve a puppy of your choice. Serious enquiries only please, no time wasters. Adopting, or buying a new puppy or dog is an important decision and big responsibility. As an owner, you will solely responsible for the welfare of your new pet and will also be financially committed. Before you decide to buy or adopt you must ensure that you’re 100% committed beforehand. For further information on caring for puppies and dogs, please visit our pet advice section. 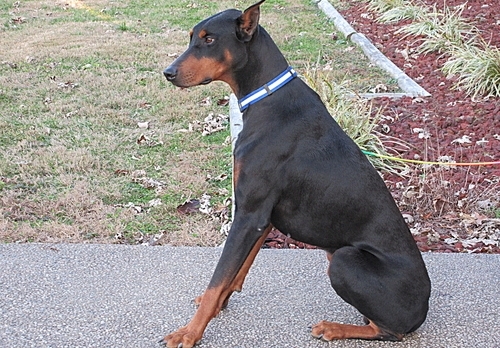 You can also find out more information about the Dobermann breed by visiting the Dobermann Dog Breed Information.